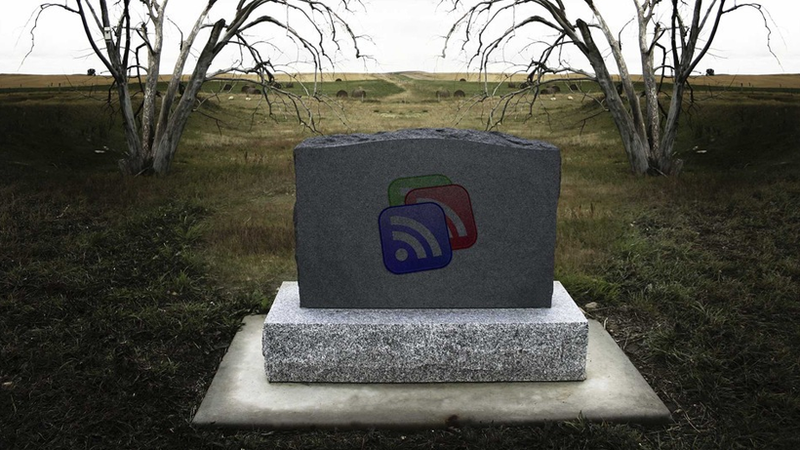 On June 1st, 2013, Google shuttered its popular RSS reader, Google Reader, for good. RSS is a standardized, XML-based, format that allows content publishers to post content for viewing in multiple applications. RSS stands for RDF site summary but its more common interpretation is Really Simple Syndication, because at it's core, that's what RSS is. It's the easiest way to syndicate your content (text, images, audio, video, etc.) across the web for use in various websites, apps, and even some alarm clocks. Google Reader has been the long-standing champion of RSS readers, but now that they've shut it down, there's an RSS "arms race" taking place. While Google might not think all of Reader's users are enough to warrant keeping the tool available, it's certainly enough to get the interest of companies like AOL, Feedly.com or the latest revision of fallen web heroes Digg.com, who can sustain their entire business on Google's "scraps." Feedly takes RSS to the next level by redesigning the tool for a modern web, incorporating multimedia more than the other popular readers. Digg Reader is a viable alternative for sure, taking notes from Feedly and Google Reader, they're trying to meet somewhere in the middle. The question is whether Digg can switch gears and offer an entirely new service under their brand, which has had its share of bad PR over the past couple of years due to poor redesigns and community management. Another company trying to capitalize on the ex-reader chunk of Google's audience is AOL, with their new AOL Reader service, which doesn't break any new ground but provides a simple, fast, and reliable RSS reader tool. Over the next year, it will be interesting to see how this "arms race" will play out. Most of the time, when something like Reader closes its doors, that means the technology is dead, but this is one case where RSS fans certainly don't seem ready to let it die. View Hello World Design's RSS Feed by clicking here.